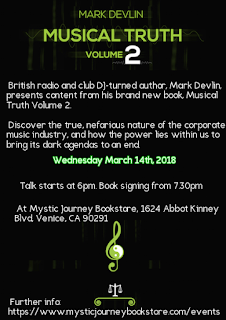 For all my California people, announcing a special book launch event I’ll be doing in Venice, LA, on Wednesday 14th March. 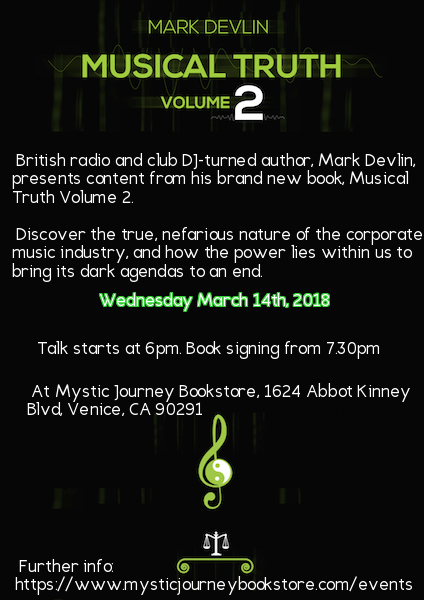 I’ll have signed copies of Musical Truth 2 available, plus new MT2 T-shirts and hoodies. Get there if you can!